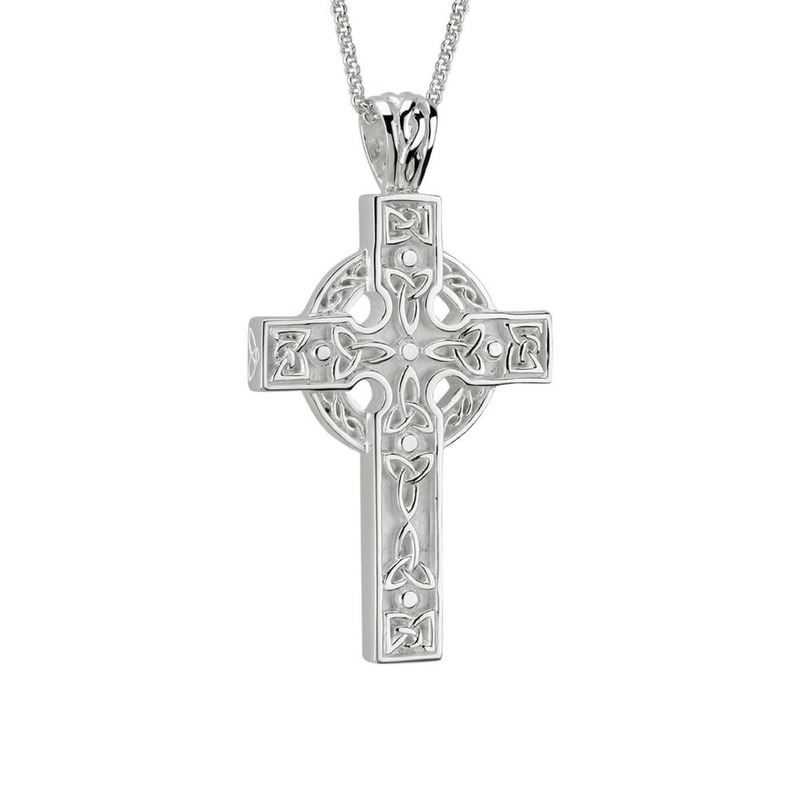 Large men’s Celtic cross pendant handcrafted in sterling silver. 3mm thick, 28mm wide and 49mm high (including bale). Comes with heavy 20 inch sterling silver chain. Handcrafted in Dublin from the purest 92.5% sterling silver and hallmarked at the Irish Assay Office in Dublin Castle.